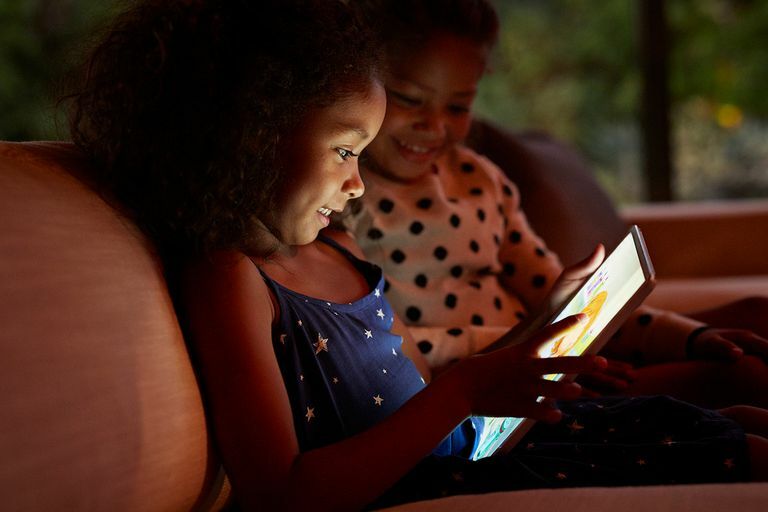 While television has long been viewed skeptically by the American Academy of Pediatrics, which recommends no more than two hours of screen time for kids, the interactive nature of our smartphones and tablets can actually help our kids advance when used in the right way. The first step to making your Android device kid-friendly is making it kid-unfriendly. Put a PIN or password lock on it to make sure prying eyes and curious fingers must first go through you in order to use it. First, go into the Android's Settings app. Scroll down to tap Security and then Screen Lock. You will be asked to type the PIN or password in twice to avoid typos. After you activate the screen lock, you will be asked to enter the PIN anytime you activate the device or attempt to make major changes to it such as changing the password. The next step to childproofing your smartphone or tablet is to make it more kid-friendly. Set up a user account specifically for your kids. If you have kids of varying ages, you can even set up specific profiles for each of them that are more age appropriate. Scroll down and tap Users. Choose Add user or profile. When the dialog window pops up, tap Restricted Profile to create a new user that has restricted access to the device. This procedure will take you into a special screen where you can allow or disallow access to certain apps on the device. By default, Android will disallow access to almost everything including the Chrome browser and the ability to search the web through the Google app. You should go through and turn on access to any app or game that you want your kids to use. Several options support a gear icon to the left of the on/off switch that helps you to tailor the content to your kid, generally through age-based settings. In Google Movies and TV, you can restrict access to anything higher than one of the standard ratings. For example, you can restrict access to only PG-13 and TV-13 and lower. Specify a restriction for both movies and television. You will also want to make sure the "Allow unrated content" option is unchecked. You can get back into these settings at any time by launching the Settings app, going to Users and tapping the gear icon next to the new user profile. So, if you download a few new apps or games for your kid, you can allow them access. You can also choose to simply restrict downloads from the Google Play store. This setting is a great way of childproofing an Android tablet or smartphone for an older child. The restrictions in the Google Play store extends to movies, music, and books as well as apps. First, launch the Google Play app. While in the app, access the menu by sliding your finger from the left edge of the screen toward the middle of the display to reveal the Google Play menu. In the menu, choose Settings then tap Parental Controls. Turn on Parental Controls by inputting a four-digit passcode. After the Parental Controls are turned on, visit each section to toggle restrictions. For Books and Music, the only option is to restrict adult content. Apps, Games, Movies and TV use the standardized age restrictions. These restrictions only apply to apps available on the Google Play store. If you have already installed an app on the device, these settings will not restrict access to it. While setting up a new user is a great way to childproof your device, a few apps that can also do the trick. These apps help restrict which apps your kid, can limit their time on the device, and can even restrict websites. Applock. This one lets you lock almost anything on your phone or tablet, includes phones calls. You can lock individual apps, photos, Google Play, etc. Kids Place Parental Control. Applock is great if you want to keep an older child out of some of your sensitive apps, but if you have a toddler, pre-K or K-5 child, Kids Place is a better option. You can limit the screen to only apps they are allowed to open or even lock them in an app. Screen Time Parental Control. If you are mainly interested in limiting the amount of time your kid is on the device, Screen Time Parental Control is the app to download. McAfee Safe Family. McAfee's Safe Family is a great all-in-one option that includes many of the features found in the other apps and great stuff like restricting websites. It's not quite as good as Applock or KidsPlace, but if you want one single app to do all of your childproofing, it's a good choice.